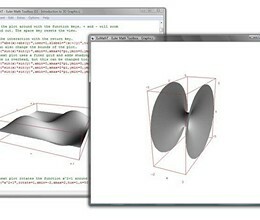 Euler is a free and open-source numerical software package. It contains a matrix language, a graphical notebook style interface, and a plot window. Euler is designed for higher level math such as calculus, optimization, and statistics. Used in many schools and universities for teaching and research. 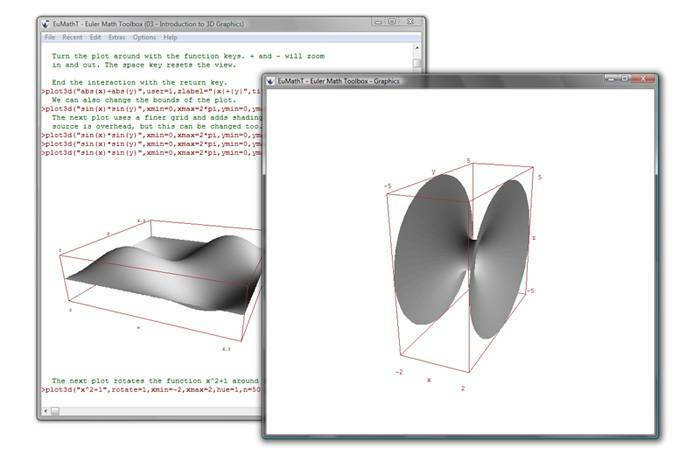 Similar to Matlab, but has an own style, and a different syntax. Supports symbolic mathematics using the open algebra system Maxima. For Windows, or under Linux in Wine. Exports to HTML, PNG, SVG and more formats. Friendly, easy to use user interface. Extensive help, documentation, reference and examples. * Euler Math Toolbox download link provides gnu general public license version of the software. Scilab is free and open source software for numerical computation providing a powerful computing environment for engineering and scientific applications. QCAD is an application for computer aided drafting in two dimensions (2d). LibreCAD is a free Open Source personal CAD application for Windows, Macintosh and Linux. GEOTEC Office is a package for geotechnical and design engineering. The package contains programs such as ELPLA, Bohr, TIEF, Geotools and more. Euler Math Toolbox has been rated 3.7 out of 5 points. A total of 3 votes cast and 0 users reviewed the software. A9Convert is a command line program to convert DWG/DXF to different versions of DWG/DXF.